Why do we owe anyone anything? "One who does justice will live in the presence of the Lord!" Nate Update: "the CHAMP is here"
When my brother Nate was diagnosed with cancer, the thing I kept hearing from people over and over again - "It is important to have something to look forward to!" I asked Nate, early on, if there was anything he was looking forward to. A trip to Rome to visit my brother Deacon Tony Hollowell? Climb a mountain somewhere? Disney World? Nate said the thing he was looking forward to the most was starting back up at school. Not too long before he was diagnosed with cancer, Nate had switched his major to pre-med. He was in pre-pharmacy, and was tearing it up (he had the highest score in his organic chemistry class, a class that is used to weed out pre-med students, pre-pharmacy students, etc.). As a cancer patient, Nate said one good thing was that he got to see all the different types of doctors at work, and he was able to rule some types out, and he has become more interested in possibly being other types of doctor. the jury is still out, but I have no doubt that whatever type of doctor he becomes, he will do an unbelievable job! Because Nate was looking forward to school, a friend of mine (Missy Scarlett) worked up a poster for him that he hung in his room. The poster was a small reminder, during the tough times, that the road of chemo and cancer would eventually come to an end. 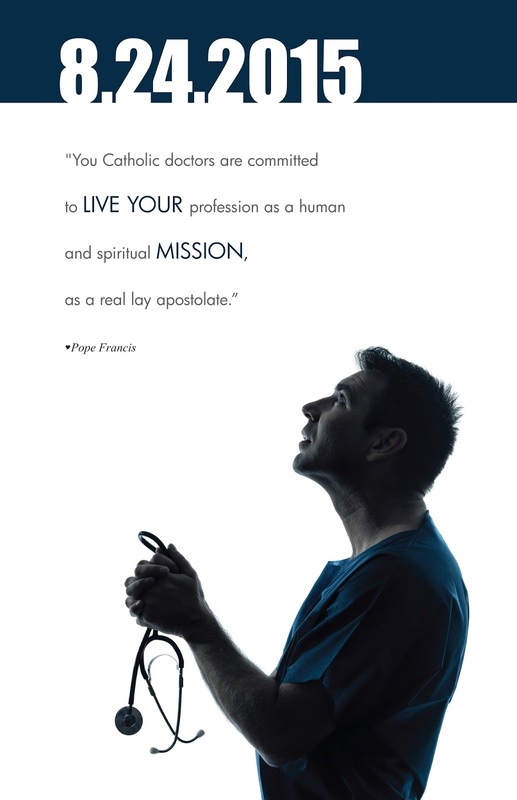 The poster was real simple - it had the first day of classes at IUPUI on it and a quote about doctors from Pope Francis. The date of the start of school: 8-24-2015. Today. Because of having to have his chemo delayed one week because of a low blood count a few months ago, he now actually has one more round of chemo that starts tomorrow. He has 48 hours of chemo left, and he plans to attend classes with his chemo pump Tuesday and Wednesday. He jokingly noted that it might get him a few bonus points with some of the teachers! But this morning Nate goes back to college, infinitely happier to be there than most other students, and it has been inspiring and humbling to see him carry this cross with such dignity. Nate, 8-24 is here. We're all proud of you and we love you! "Led Zeppelin IV" was the first album (CD) I ever purchased, so I've been a Plant fan for a long time. Rumors have been around forever that Zeppelin members dabbled in the occult. Who knows. Certainly hope it isn't true. It is interesting that two of the most prominent lead men of the two most prominent bands not named "The Beatles" (Plant of Led Zeppelin and Mick Jagger of the Rolling Stones) have both put out albums and songs later in their lives hinting at a conversion to Christianity. Perhaps those who have stared deepest into the depths of what this world has to offer are able to most clearly see that Christ is the only answer. Here's a bonus Sunday track - "Brand New Set of Rules" by Mick Jagger. The lyrics certainly can be read as a man singing about converting to Christianity. A dear friend, Laura Zetzl, has been officially welcomed as a novice with the Sisters of Life. 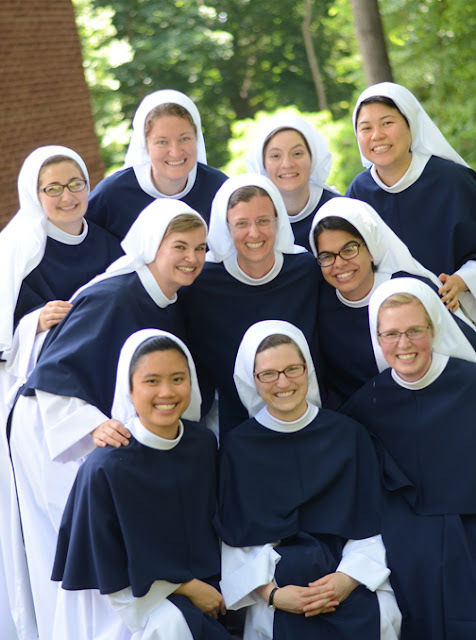 Please pray for Sr. Lucia Christi (her new name in the Lord) and all the Sisters of Life. They are doing great work! "Mass Needs to Be Just What I Want"
The problem is...I'M NOT THE STANDARD FOR WHAT MASS SHOULD BE! The Church has set up the Mass in a certain way so as to help strengthen the Faith of people who visit and DON'T know what we believe when they walk in. St John Vianney, Blessed Mother Teresa, St. Francis and countless others preached and lived RADICAL POVERTY but also wrote extensively and also actually built beautiful Churches, secured beautiful vestments, etc. The Mass's rubrics and laws are there not to protect the Faith of life-long Catholics but to protect the Faith of those whose Faith is weak and even still growing in its infancy. Imagine you aren't Catholic, and you walk into your average suburban US parish today. What would signify to you that all the people there believe God truly dwells in that place? The dress of the people? The music? The vestments? The architecture? We keep talking about wanting to reach out to the whole world, to evangelize non-Catholics, to call home the fallen away Catholics, and the single greatest tool we have in this regard - the Sunday Mass - has been marred and defaced, against the teachings of the Church, to the point where it is typically celebrated in the average parish today in such a way that it is barely recognizable in comparison to what the Church is asking us to do. The Church says "here's the most effective hook at fishing for men and women with" and we have bent the hook, misshaped it, and made the hook much less effective than it could be. "Save the Mass, and we'll save the world!" Abortion House of Horrors - "There were screams" - Planned Parenthood doesn't always obtain consent to donate children for "research"
It reveals what most already knew - that Planned Parenthood doesn't always obtain permission from the mother to donate their children for "tissue research"
It also reveals what other videos had suggested as well - that Planned Parenthood adjusts its abortion techniques in order to maximize PROFIT at the EXPENSE of the mother's health. 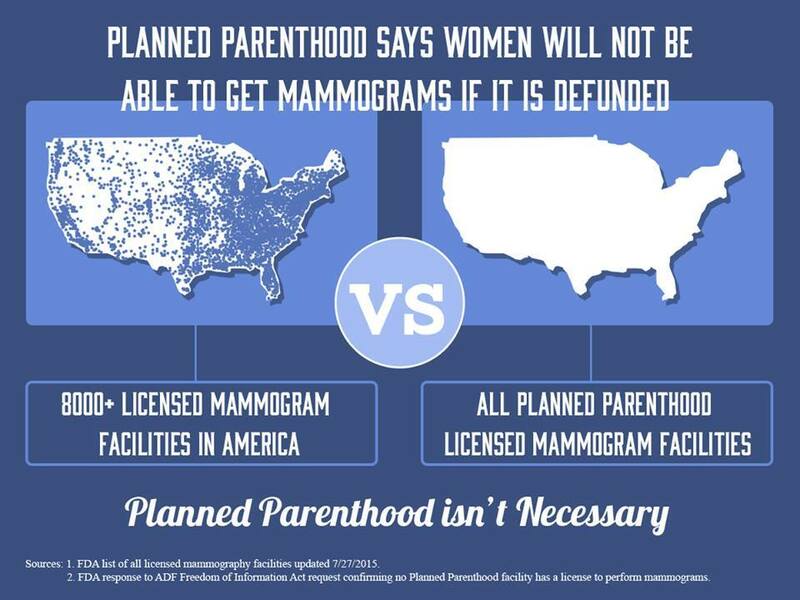 Who's waging a war on women again? This is AWESOME! Totally worth 90 seconds! This is DEFINITELY worth 90 seconds of your time! Eucharist :30 from Catholics Come Home on Vimeo. My Mom's mother, Mary Jane Hehmann, was one of the greatest people I've ever known. Her husband, my grandfather, passed away in 1975 by choking to death in a restaurant. When he died, my grandmother was left to care for their 8 children all under the age of 25. "Mom-Mom" (as we called her) was one of those stalwarts of Faith. She never missed Mass, and her Faith was a part of her being (as it should be for all of us). 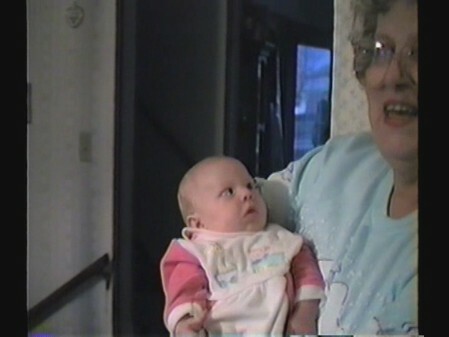 She loved all of us grandchildren with an immense love. Her house was a place we loved to visit because there was candy everywhere and, to my knowledge, if we asked her for anything as grandchildren, she never once said no! As a kid, I always thought of her as an otherworldly bundle of love, and she seemed to be the twin sister of Santa Claus. Loving, generous, and full of warmth. From that point forward, I began to see her not just as Santa, but also as a wonderful PERSON. When I called people to let them know I was going to the seminary, Mom-Mom cried on the phone and didn't have much to say. For some reason, I got choked up too, and she was the only person that I cried while I was telling them about going to the seminary. She was so happy, and that was very humbling for me. In my second year of seminary, Mom-Mom's cancer came back (she'd fought it off in the past) and she knew it was the end. She hung on for a few more months, but passed away in January of 2005. I was able to make it to her bedside a couple of hours before she passed away. She couldn't talk anymore, but she was praying a Rosary. After the funeral, my Mom came to me and let me know that Mom-Mom wanted me to have her car. It was a 2000 Toyota Corolla, and was about 1,000 times nicer than my Geo Metro I had been driving around. Before she passed away, Mom-Mom wrote me a little note about how she was so happy about me becoming a priest and how she hoped her car would help me on my journey. For 10 years the car got me back and forth to St. Meinrad 100 times, helped me get to hospitals and high schools and parishes and funerals as a priest, as I put on 220,000 miles on the car. In all that time, I had to pay 600 dollars to get it fixed once. One exception: my rims got bent over the years and hubcaps were no longer an option! I never had any accidents or issues with the car in 10 years. I could just tell that Mom-Mom was watching over me and the car. As Catholics, we believe that this world is sacramental - it isn't just full of "stuff". So while human beings are infinitely greater than all of the rest of God's creation, we still believe that all created things are good, and so I know that somehow my Grandmother had a role in watching over me and the car and she, through the car, played a big role in my priesthood that she was so excited for but never got to see while she lived on Earth. 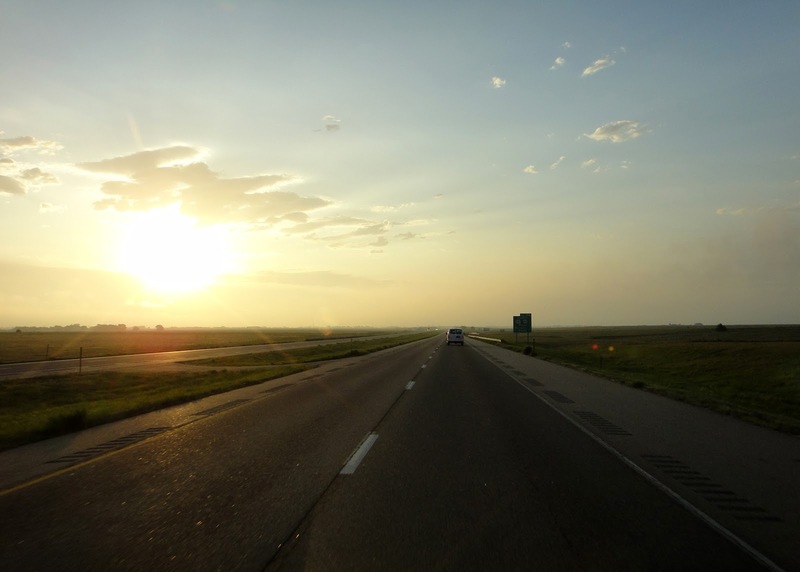 Last night, at about 11 pm, I was driving home from a priest dinner, and the engine started making a noise, and I knew it had driven its last mile. Even as it coasted and sputtered and kept fighting for another 10 miles, Mom-Mom was there interceding as it safely came to a stop near an interstate exit about 5 minutes from my parent's house. It died at the perfect time as I didn't have any appointments or anything scheduled this morning, so I was able to go buy a new used car that is in the same spirit of simplicity that my 2000 Corolla that was willed to me from Mom-Mom was built on. I pray that she watches over me, my priesthood, and this new car like she did for the last 10 years. I have no doubt that she will! A video is making the rounds among leftists - of course it isn't any of the Planned Parenthood videos because they were tricksy and mean and edited. Wrong assumption 1: Tax money solves problems. That's a load of manure. The Church teaches that it is a load of manure. The Church knows, in its Catholic Social Teaching (has sister read up on Catholic Social Teaching?) the Church says WELFARE MUST ALWAYS BE TEMPORARY! The Church believes in the principal of SUBSIDIARITY which means that problems are best solved at the LOCAL level, so a person can vote to cut government funding for programs, and still be following the will of Christ and His Church. Wrong assumption 2: The Church doesn't help women AFTER they give birth. More horse manure. Has she been to the abortion clinics and watched what goes on there? 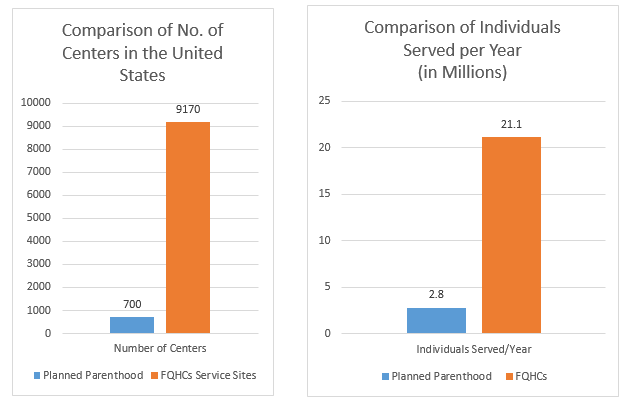 Do you know how much help women get AFTER their abortions from abortion facilities? You know who helps women pick up the pieces, sister? Christian men and women, Christian food pantries, Christian Crisis Pregnancy Centers, etc. Ah yes, another gray haired person who won't have to reap any of the cultural storm that is brewing in this country throwing another log on the fire that will be used by secular humanists to try to destroy the Church. Look What is Topping the Charts...CHANT! I stayed a weekend with these guys when they first were getting started. Back then, there were 4 of them! Further proof that chanting appeals to people (and folk Masses do not), here's a video about the monks from Norcia topping the charts! Dr. Maria Bajuyo gave a presentation on the science and beauty of the Church's teachings on human sexuality, openness to life, NFP, naprotechology, etc. Everyone needs to hear this talk! That being said, the WHOLE thing is great. Here's the full version. The audio is scratchy in a few places (probably the Devil at work!) but press through it and give it a listen. Dr. Maria Bajuyo, and other doctors like her, are doing the work that will win against the culture of death. Dr. Maria Bajuyo MD from John Hollowell on Vimeo.